The Aosta valley is the smallest italian region. In the north-west corner of Italy, bordering with France and Switzerland, it is a long valley meandering through the highest mountains in the Alps, including the Mont Blanc, the Monte Rosa and the Matterhorn. It has a special autonomous status within the italian republic, not least because the main language spoken in the valley is a form of Franco-Provençal patois (dialect). 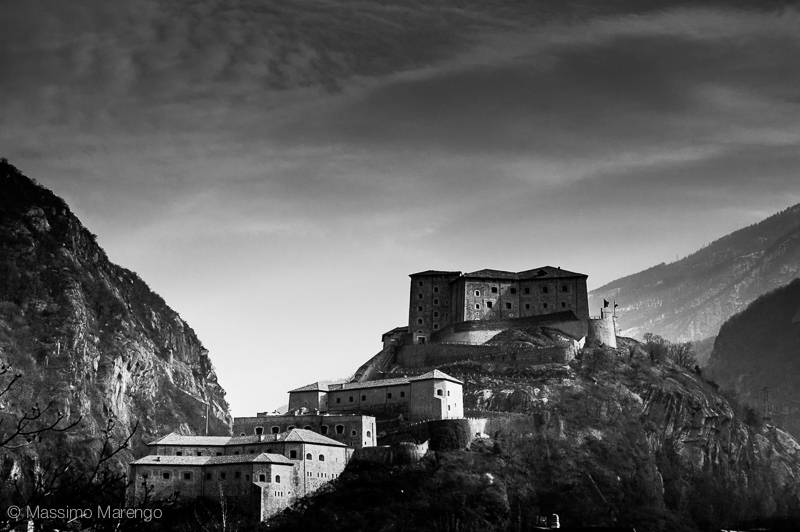 Due to its geographical position, the Aosta valley had a special strategic place in history, as keeper of the high mountain passes allowing access to Italy from France. Hence, the castles. There are 72 castles just in the main valley, originally built as military fortifications, later on as residences to show the power and wealth of the local nobility. The two castles shown in the photos of this post are among the most famous of the lot. The Fort Bard you see in the photo, is a XIX century reconstruction of the original fortification, located in the narrowest point in the valley, already existing in roman time. In 1034 the fort was known as the "inexpugnabile oppidum", the one that cannot be conquered for its perfect strategic position. After being occupied by a litany of feudal families (including the powerful Bard), it came to the possession of the House of Savoy in 1661 (this is the same dynasty that in 1860 managed to unify the whole of Italy, and that was unceremoniously booted at the end of WWII -- thankfully), and heavily fortified. The rise to fame of the fort came in the year 1800, when the 400 austrian soldiers garrisoned at Bard managed to stop the advance of Napoleon's 40,000-strong army for more than two weeks. Napoleon was so upset by this delay, caused by what he called "the vilain castel" which ruined the surprise attack he had envisioned, that once the fort surrendered he razed it to the ground. Rebuilt 30 years later, it is now open to the public, and hosts a museum. The square castle in the panoramic below is the Verres castle. Built in the mid-XIII century, it is one of the first examples of medieval castles built as a single massive building (rather than multiple smaller buildings enclosed by a fortified wall). The castle has a rich history, concerning mainly the wars of successions within the family (the Challant) that owned the area. In 1442 Frederico Challant died without male heir, and the castle was inherited by his daughter Caterina. The testament was however challenged by her cousin Giacomo di Challant Aymaville, invoking the Salic law preventing inheritance by a female member of the family. War ensued, and Caterina was finally defeated when her husband was killed by Giacomo in an ambush. After surrendering all her possession to her cousin, she was accused of witchcraft, but then pardoned. She never managed to recover her land, but remained very popular among the people of the valley: an episode on May 31 1450, during the war with Giacomo, in which she left the fortress with her husband to dance with the populace is still remembered fondly by the villagers, and re-enacted every year during the carnival in Verres. 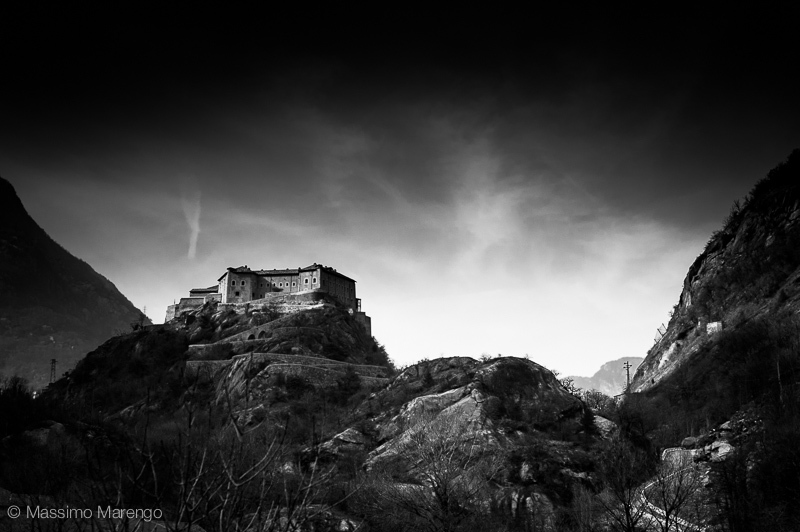 The castle is one of the most visited in Valle d'Aosta. I took these photos while we were driving to La Thuile, at the end of the Aosta Valley, where Mayli was attending a physics conference (and skiing if I remember correctly). There are many other castles in the valley, and from time to time I had the chance to visit some of them. One of them, in fact, was the stage for a wedding I attended when I was a small kid, the one where I gave the bride a bunch of bugs as wedding present. But that's an old story you can read in full here.